Kat Hocking works at Victoria's Eastern Treatment Plant, which treats sewerage for 1.5 million people in Melbourne. In her role she works on developing ways our waste water can go further, a vital job in a time of drought, population growth and climate change. 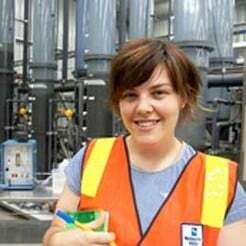 She started working for Melbourne Water through their graduate program, which she finished earlier this year. I grew up in the country with parents who like being outdoors and are aware of environmental issues, so I was keen to work in an environmental field. At university, we'd done tours of some of Melbourne Water's plants. Also, one of my lecturers had done some work in Antarctica, on wastewater treatment, and that inspired me to want to do something like that. Day to day I'm based at the tertiary trial facility at the Eastern Treatment Plant. The water that's treated here is from about half of Melbourne's population and is treated to secondary standard, which is the standard it's been treated to since the 1970s. The project I'm working on is looking at options for improving the quality of treated water to tertiary standard, which will involve adding another step to the process. It will allow for increased recycling opportunities if the water is better quality you can use it for more applications. So I work on a trial facility which looks at different types of filtration and disinfection options to upgrade the standard. Day to day my role entails keeping things running or looking at specific investigations on the plant. 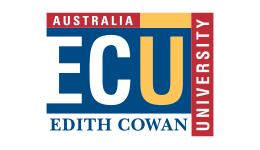 Bachelor of Engineering/Bachelor of Science (double degree) at Melbourne University. How did you start working for Melbourne Water? I did my final semester at university on exchange in Canada, and when I came back to Melbourne to sit an exam, I came across the graduate program online application process. Melbourne Water had been somewhere I wanted to work so I applied for it. It was quite rigorous. If you were selected from your online application, you went to a group interview. Then there was some online testing for verbal and numerical reasoning abilities. If you were successful at that stage you were invited to an interview with a few managers. It was my first panel interview so I approached it as just another experience and as an opportunity to practise my interview skills. But I was successful and they offered me a position! What kind of work did you do during the graduate program? The program goes for three years and I did two 12-month placements and two 6-month placements. My first placement was decided for me, based on the discussions I'd had during my interview process I worked in the water treatment public health team in the strategy and planning group. For my following placements, I nominated preferences from a given list of available positions. I did six months in the Waterways Group at Melbourne Water, which looks after river health. Then I did a secondment, which is an opportunity to work at a different water company as part of the placement. I worked in the trade waste team at one of Melbourne's retail water companies for six months. And my final placement started in February this year. I've been working on the trial facilities at the Eastern Treatment Plant at Bangholme. My graduate program would have finished in February 2009, but I was offered a position so I jumped off early. My role hasn't changed much yet. Do you work in an office, lab or on site? I work in a shed! There's a sort of shed that houses each of the different trials, my time's split between working there and doing hands-on type tasks. There's also a lab on site and an office I do some things in the lab and some things, like data analysis, in the office. I get a good mix. In the operational team at the tertiary trial facility there's my supervisor, two on-site lab technicians and another operator. So there are five of us on site every day. Broader than that we work quite closely with strategy and planning teams the main decision makers about what needs to be looked at. They're part of the much broader team. Do issues like climate change and the drought have an impact in the work you do? Yes, definitely. The drought and increase in population are the most challenging things for the water industry at the moment. So being able to reuse sewerage is a golden opportunity. As a driver for the project, drought and climate change are significant in terms of the increased amount of water available to substitute what's currently used. So the work I do is pretty rewarding. Does the research you're exposed to affect your own personal water usage? Do you have shorter showers? Yes, I try to. Also I try not to buy bottled water. A life-cycle assessment shows that bottled water producers use a lot more than one litre of water to make a one-litre bottle of water. I'm aware that the regulations on tap water are very strict so tap water is fine to drink. I do what I can do. What else can people do in the face of these environmental issues? Shop locally and buy Australian-made produce. Are there any myths about working in sewerage that you can straighten out? I guess when people hear about where I work and what I do, it doesn't sound all that attractive! Waste is not beautiful when it comes in but in terms of what can be done to treat it and the quality that can be achieved, it's absolutely amazing. Around the world there are projects to treat it to a potable standard, and using such applications means saving on surface water that's previously been used for applications where a lower class of water is perfectly suitable, for example, watering parks and gardens. FYI Potable means suitable for drinking. Are there lots of job opportunities for chemical engineers in Australia? Absolutely! There's an engineering shortage, so there is definitely work available in Australia, especially because of the green shift that all companies are making. The opportunities within the water industry stretch right across the country and beyond. There are also many opportunities in other industries such as manufacturing or mining companies, on the environmental side of their businesses. And in those industries that are traditionally seen as damaging for the environment, there are opportunities for engineers to work out how things can be done better, and more efficiently. Also, the skills and experience you get as a chemical engineer are quite transferable to environmental engineering roles. What skills do you need to be a chemical engineer? You need a sound understanding of a science-based/chemistry-based degree, a maths and science mind, communication skills and a logical thought process. I enjoy what I do, I've developed some good skills, and I hope I'll work in the water industry for a few more years. Is a career as an engineer your calling? Explore your options when you head to our Engineering Courses page. 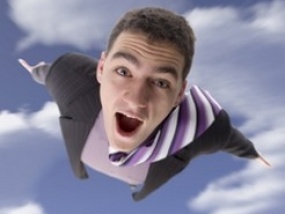 Have you ever had a dream that seemed impossible? Have you ever wanted to solve the energy problem, or walk on water? Even translate your dog’s barks? Well, this is where Engineers Australia steps in. 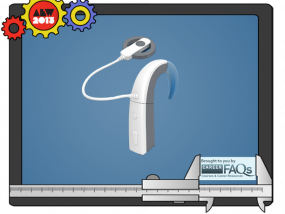 Almost 200,000 people worldwide now enjoy the sense of hearing thanks to this amazing feat of Australian engineering.